Go Vacation is fast approaching, so it's time to get in the mood for a good holiday with a new video that shows off the game's impressive 50+ events. With up to three other players you can do practically every pastime known to man, ranging from surfing and skydiving to off-road racing and golf. With a whole island to explore, you can take photos of local wildlife one second and go skateboarding around a park the next. It's pretty eclectic to say the least and it's already got us hankering for a week off in the sun! Check out the overview trailer below. Btw, i had observed the trailer quickly. I found.... the Trees / grass / plants rendering are still like Folded paper, but still much better than Wii version. The game looks fun but the graphics look very outdated. I might pick this up in the bargain bin someday. Love the concept, but fear the gameplay will be very meh. Need a review! I'm really curious about this game.I loved playing Wii Sports back in the day but that was the only multiplayer game I can remember playing.This one looks like a lot of fun with tons of content but is it online multiplayer as well as co-op?And can everything be played single player? Will definitely be keeping an eye out for the review. @justin233 That's because it's a retextured wii game with some new assets and modes. Definitely excited for this one. The original was a huge hit for my family. They loved it. Really Wish there was online multi-player. That would have been a nice update. But after Watching the video and knowing the original, they look very, very similar. I wonder what kind of substantial updates, if any, they are doing to bring this game to the Switch. From what I can tell, I do not see much difference. I hope they update something and make the purchase worth it. @link3710 I know. It could use some more work. Really want to like this.... seems nice and varied but its bound to be awful. I had fun with this back on the Wii, but I really wish they put a bit more effort into this port. The visuals are so dated and it appears they didn’t even bother to update any of the assets. They just upped the resolution and called it a day. Hate to admit that looks fun to play with my kids. Still, will wait for the reviews and a discounted price. It's fun but it just looks flat and dull. Ever heard of a normal map!? They don't take much effort! Nintendo Life did not like the original. Maybe they have ironed out the issues the original had. I remember despite its flaws the game store I worked at could hardly keep Go Vacation in stock. Looks fun! I will probably get it just to play alone. That looks horrid 😅 they spending like 2 sec on this port and charging $50 bucks. @idrawrobots This game is targeted squarely at a younger audience. It is no surprise that NL would give it a low score. My son was around 5 or 6 when we got the Wii version of this game and he enjoyed and played it a lot. It is a product of its time. It is a Wii style kid oriented open world game. He did everything, found everything, went everywhere. He had no idea what 100 percenting a game was, but this game was probably the closest he came to doing that in any game. The many mini games were fun, but I know he had even more fun enjoying the distance between them. But the price point is very high in my opinion. I still have my copy of Wii Sports Resort. This game is a part of my life so I'm overjoyed to see it returning with new features to boot! The price is too high for what you're getting but guess we'll see how well the game sells. over 40 types of animals to photograph and store in your in-game photo collection, and you can find boxes filled with rewards dropped by a plane. My kids still play the Wii version regularly, so I feel like I know this game inside and out. I'd love more info on what's new. Looking at the brief 4 player parts of the video it appears that they may still be turning off all NPCs when playing multiplayer, but I'm hoping not. That always made the world feel rather empty. It's be great if you could play events without everyone playing the event though I recognize that's probably a technical impossibility. People that liked Wii Sports Resort should, by all rights, LOVE this game, since it's much better than that. Where Wii Sports Resort just offers a menu screen on which you can select a bunch of mini games, it's not a connected world at all. 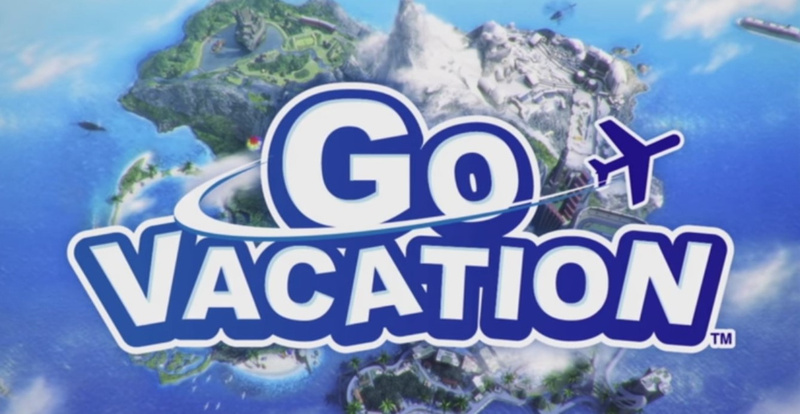 Go Vacation however, offers an actual group of islands that your character can physically travel around in to go to other events and areas, and you even get to create and interior-design your own living space there. On top of that, it has WAY more activities than there are in Wii Sports Resort, and the whole vibe of the game, and the way it is constructed, really makes it feel like you take your selected character(s) on an actual holiday, instead of just playing a bunch of otherwise completely disconnected mini games. Because that's the case, the game also offers options where there isn't any pressure of having to win, such as is more common in Wii Sports Resort (and in other sports related games), meaning for example that you can just choose to spend some time strolling, driving or riding around on a horse, to discover the various parts of the islands, or you can do some relaxing scuba diving (which also includes an option to search for treasure chests, if you still want to make something competitive of it... ). So, all in all: more mini games, more variety in activities, some competitive and some just relaxing, customization options, real time island travel, and each island is different, so you can go from the beach to snow-peaked mountains, and from a city environment to the woods, so it should at the very least offer a couple of interesting activities for most people. @Alikan Well, in that case, I certainly think you're gonna enjoy this one as well. Not every activity in it is great or good, but there's so many of them, that you're bound to find some favorites that you'll keep coming back to. Sitting around having cocktails with ladies looks like a good time. Do you HAVE to play the athletic events? You Have to play All the Events ONCE in order to get stamps. The amount of the stamps will open the new resort. Complete All stamps to get your own villa. Wii Sports as awesome but considering this game comes out in less than a month and nobody has done a single hands on preview I expect this to flop hard and be riddled with issues and glitches. I hope I'm wrong and it's just as fun as Wii Sports and Sports Resorts was. i never had a wii so to my eyes this looks like a lot of fun and when my wife saw this she said its a must buy. my wife and i will be buying a copy each and battling it out. the open world and house deco all looks fun too. we both cant wait to play this. Even bigger than LEGO CITY Undercover Switch version. 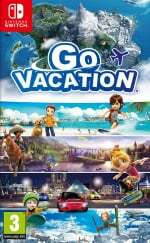 Compared with Go Vacation Wii version = 4.3 GB on DVD. I hope with bigger GB = Good rendering of the trees, furnitures details, fixed 30 fps, etc. I saw from the trailer a snowy pine tree leaves are "moving" by naturally. That indicated some huge changes for trees rendering.